In this 45-minute session our staff experts will help to answer your "big picture" organizational questions. Session topics may range from day-to-day operations, program development, legal or human resource issues, to administrative and governance challenges among others. A 45-minute session may not be enough to answer all of your questions of course - in fact it may just start a conversation. If, at the completion of the clinic session, you feel that you would like to continue working with NYCON there are options to help you do that. 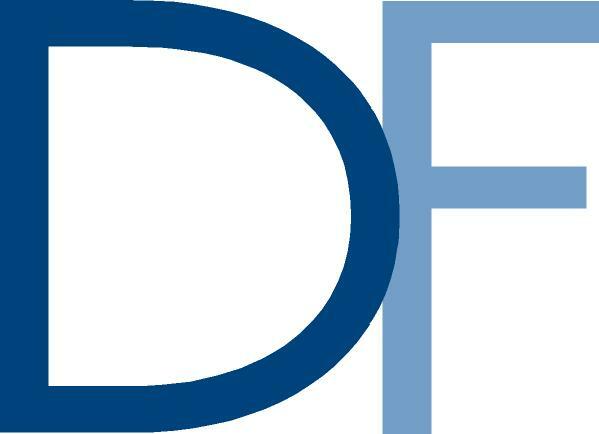 Funding is available for additional technical assistance, consulting, training or meeting facilitation and more from The Dyson Foundation's Mini-Grant Program or perhaps even their Nonprofit Strategic Restructuring Initiative, if your organization is contemplating a serious collaboration or merger with another entity. More information on available capacity building funding & resources. The Dyson Foundation Mini Grant Program enables nonprofit board, staff, and volunteer leaders to develop new skills by providing organizations with financial support to hire consultants to lead specific capacity building activities. 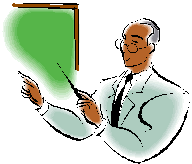 Mini-grants may also be used to defray the cost of conferences, seminars, and other training opportunities for staff and board. Meetings with Michael West, Esq. can cover topics areas related to nonprofit Legal, HR, Policy Development, Contracts or other topics that are compliance or accountability related. Please have your questions ready. Audrey Grifel, Capacity Building Advisor Meetings with Audrey Grifel, Capacity Building Advisor, can cover topics related to general nonprofit governance, leadership, structural or operational issues including board recruitment and development, fund development and strategic planning issue. Are you in the process of becoming 'prequalified' with New York State in order to receive funding for a contract currently in place or for future funding for which you'd like to be considered? Your prequalification status may be delayed for multiple reasons. If your application is being held (or if you haven't been able to complete it) due to questions about any of the following reasons this webinar will be a great resource for you. Workshop Descriptions Online, Register Now! Camp Finance is truly an experience you'll never forget! Our annual conference is almost here, and we have a few exciting announcements for you! Workshop Descriptions & Agenda Online Now. Click HERE! 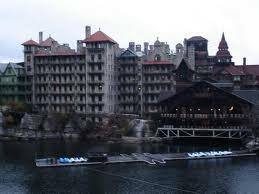 Join us at the Mohonk Mountain House for Camp Finance 2013! We are happy announce our current agenda and workshop descriptions for this year's Camp Finance. Also new, we have available a printable paper-based registration form for your convenience. Questions? Please contact our Membership & Marketing Associate, Amber Vanderwarker at (518) 434-9194 ext. 126 or email her atavanderwarker@nycon.org for further details or questions. We do expect this event to sell out the capacity of the Mohonk Mountain House, so please register soon! This free session is exclusively for funders and provides insights gleaned from NYCON's unique knowledge and perspective of the Gateway from work with hundreds of nonprofit members statewide.NYCON has also worked in partnership with the State of New York in developing webinar training content and a FAQ tool on the topic, has conducted webinars serving over 400 participants to date, and has gone through the Gateway process ourselves. As a funder in New York you may be aware that many of your nonprofit grantees are in the process of becoming 'prequalified' with New York State. All nonprofits must now go through the "Grants Gateway" and become "prequalified" by NYS in order to receive funding for a state contract currently in place or for future funding for which they would like to be considered. This initiative aims at raising the governance and operational standards for state grantees while down the road making the contracting process easier and more efficient. There are bumps in the road however that may result in current contract renewals being delayed. As a philanthropic investor or local government grant source, you should know how this prequalification process affects your applicants, grantees and funding criteria strategies. Perhaps now more than ever, community-based nonprofits are seeking ways to do business differently and are exploring whether affiliation may be a path to sustainability and growth. Join NYCON's highly experienced staff experts in learning about the various forms, processes, potential benefits and risks associated with corporate affiliations,including merger, acquisitions, subsidiary relationships and shared service arrangements. The "Beyond Collaboration" Workshops are provided as a part ofThe Dyson Foundation Nonprofit Strategic Restructuring Initiative. This initiative is available to help nonprofit organizations, libaraies or units of government based in the Mid-Hudson Valley (Columbia, Dutchess, Greene, Orange, Putnam, and Ulster counties) move from the exploring the feasibility of strategic restructuring, to planning the restructuring and implementing the plan, to enhancing the restructured entity. Funding is available for additional technical assistance, consulting, training or meeting facilitation and more. If, after this session, your organization is contemplating a serious merger or restructuring, then we encourage you to take advantage of this valuable resource through The Dyson Foundation.